13-inch MacBook Pro Sales Slipping? Something interesting appears to happening in Apple’s Asian supply chain. Some companies that provide parts for the 13-inch MacBook Pro have seen orders stopped, well below the Cupertino, California Mac maker’s original estimates. However, the question is which 13-inch MacBook Pro isn’t selling — the older model or the Retina? DigiTimes is reporting that 13-inch MacBook Pro component orders have been stopped and Apple hasn’t told those companies when or if they will be reinstated. However, orders for 15-inch MacBook Pro models seem to be on track, continuing apace as suppliers report strong demand for parts. The stoppage comes 20 percent short of Apple’s original order estimates for the product(s). So, which product’s sales are so poor as to require a halt in component procurement — the original yet internally updated in June $1,199 (i.e. 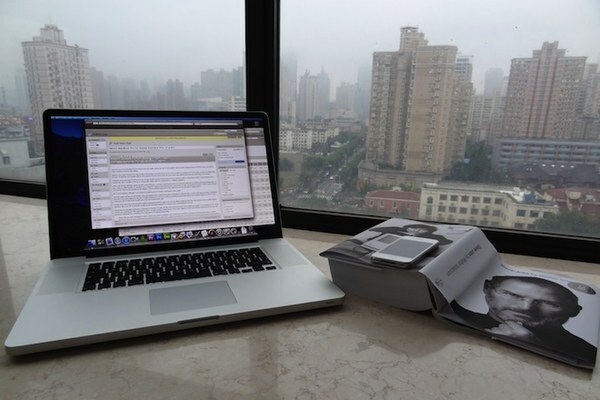 2011) model or the recently launched $1,699 13-inch MacBook Pro with Retina display? Which 13-inch MacBook Pro model, original or Retina, do think is falling short of Apple’s projections?